Lets hope you dont get many like this one of mine Keith. I only smile because I have no idea what is going on. GT250 X7,RD400, RD350 LC,CB50J, Multistrada 1200 S , Rd350 ypvs 31K, Suzuki TL1000r. There is always someone who will help if they can. 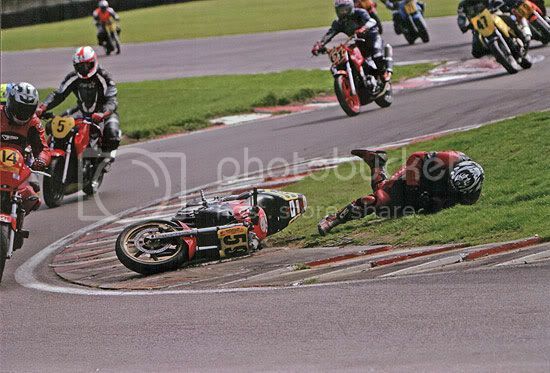 I started racing with a mate who raced MZ's, he was always their to help me when I started out. Makes a hugh difference. Owww that looks like it hurt.....!!!!! What a weekend! Glad you got a race under your belt though matey, nice one! 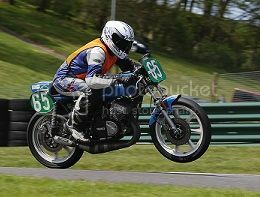 You all sorted for cadwell? Might be there myself. Mate races an FZ600 and his Mrs parades one aswell. Pembrey report is in the next wellard.